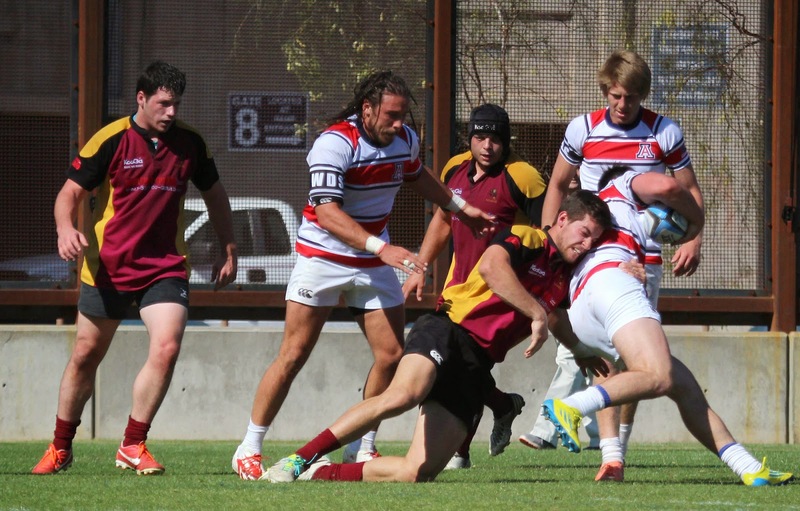 Coming off of back-to-back losses to BYU and St. Mary’s College, the Sun Devil rugby team will be taking on San Diego State University this Saturday. The team feels very strongly that starting off the season against the No.1 and No.3 ranked teams in the country will benefit them in the long run, even if that means starting the season with two losses. “We are looking to play consistent smart rugby and reduce the turnover count; if we do that we should be fine,” Head Coach Gary Lane stated when asked about how they will rebound. Rallying is not the only issue, because the maroon and gold have gained somewhat of an underdog reputation. This does not faze the young team, for they use it as motivation. “I think we are a team with something to prove and I think the next few weeks are going to be very interesting in showing the character of the team,” Lane also replied. Last season ASU graduated six seniors that weren’t easy to replace. “The new players are working extremely hard and we are drilling them constantly, putting them under immense pressure so that when we play the games they will seem easy,” Lane added. The Aztecs have improved as a team over the past couple of years with quality back line players. The last time these two teams saw each other was in the 7’s Nationals last year, in which ASU won.